This week I have a finish to report and a few additions to the stash. First the adds. 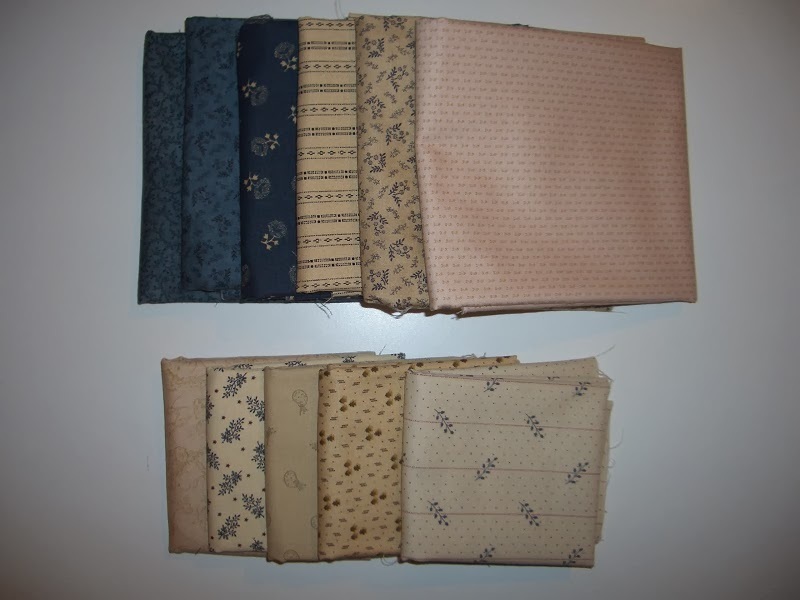 These Blue and Neutral fabrics were purchased at Country Loft, courtesy of a gift certificate from my friend Sandi, over at Kwiltnkats. 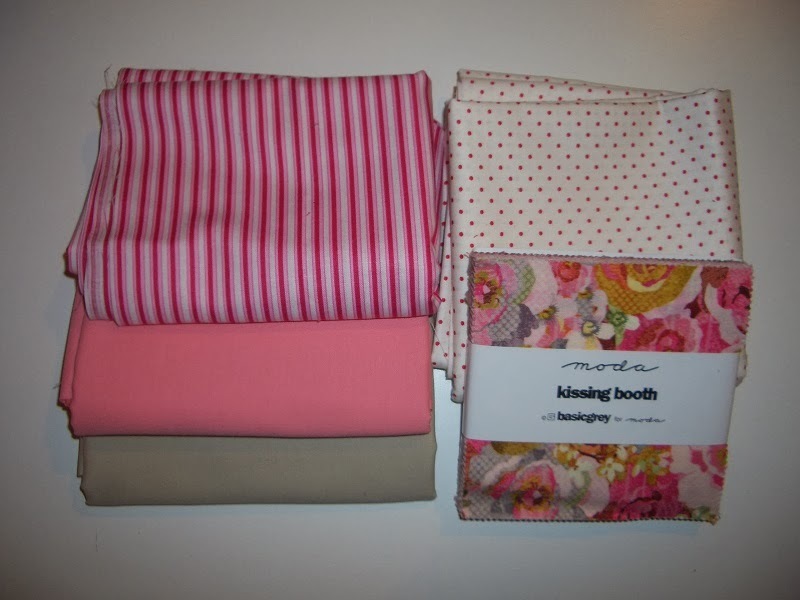 We also purchased some fabrics together for a project we will be sewing soon. You can see these on her blog. 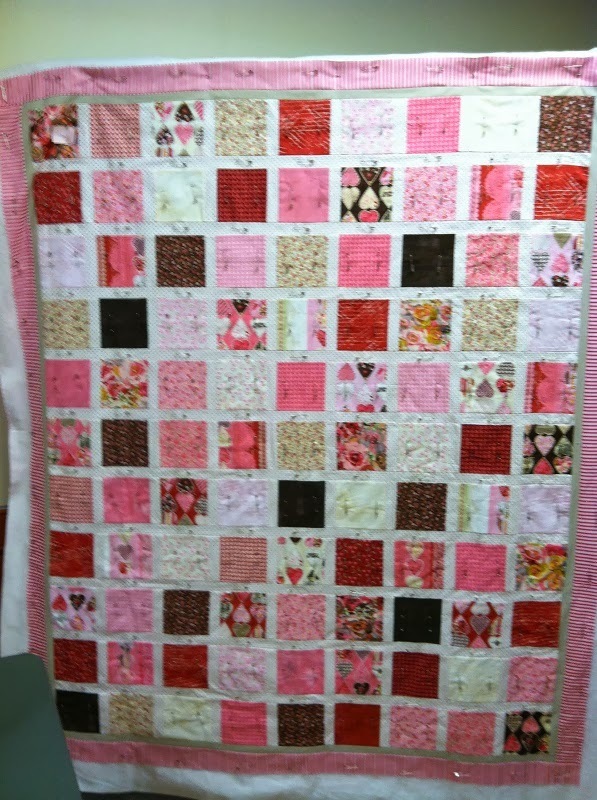 Next up were some charm squares and fabric to make the adorable quilt below. This was made by Connie from Sunshine Quilt Guild and she had some left on her Etsy site so I was able to purchase from her. I loved the simplicity of this quilt and will be making it to give to my Granddaughter Violet. 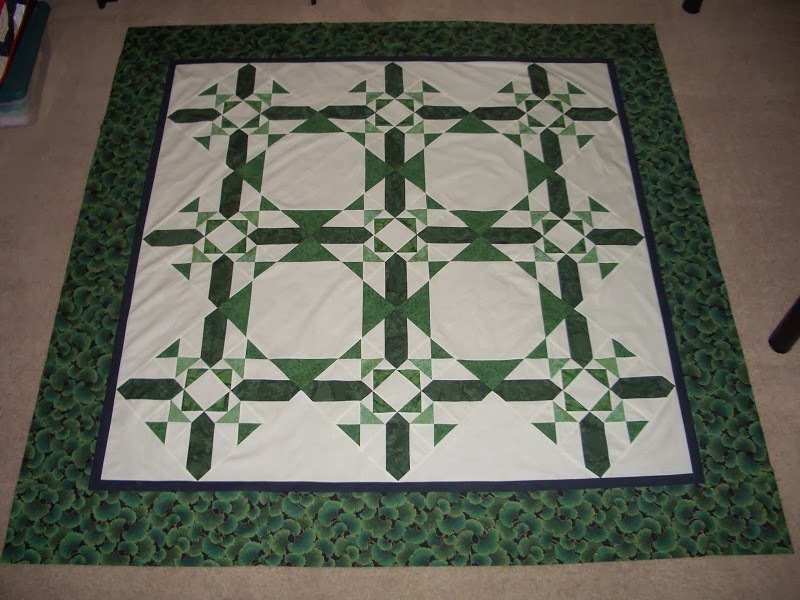 Now on to my finish for the month which is my Harmony Square Quilt. Still in the Red as far as the numbers go, but hope to change that next month. Hope you are doing better than I am this year! Purchased this week: 13.0 yards. I really like how your Harmony Square turned out. The placement of the different greens looks great. We should get started on our patriotic project. Try for a block a sewing day together like we did once before. I'd guess your next report will show you in the black!